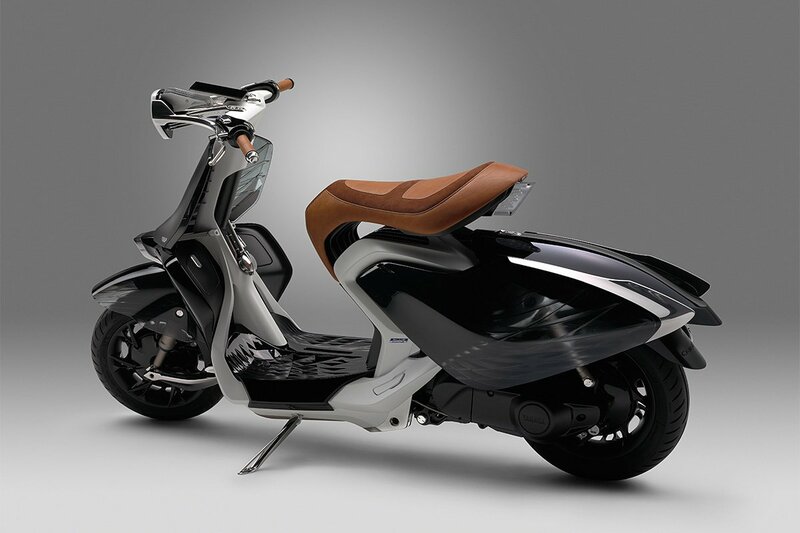 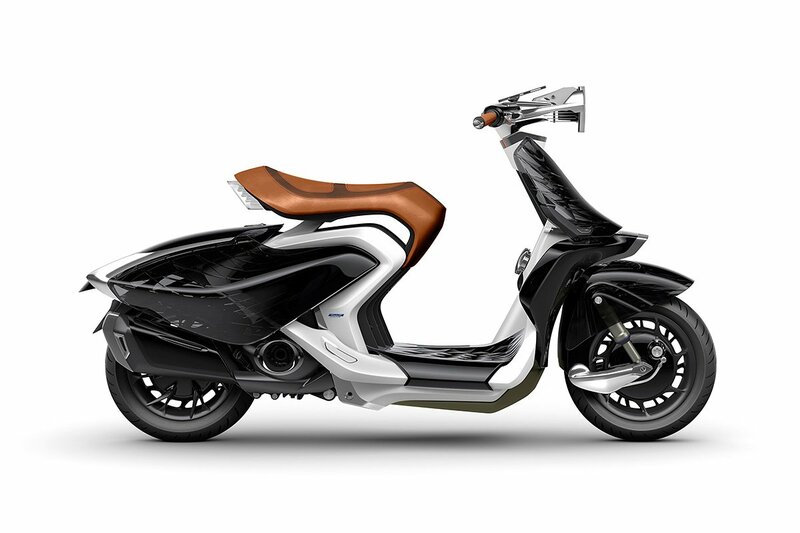 Yamaha’s 04GEN scooter concept looks to flowing materials found on fashion runways as a design theme to showcase the interior structure. 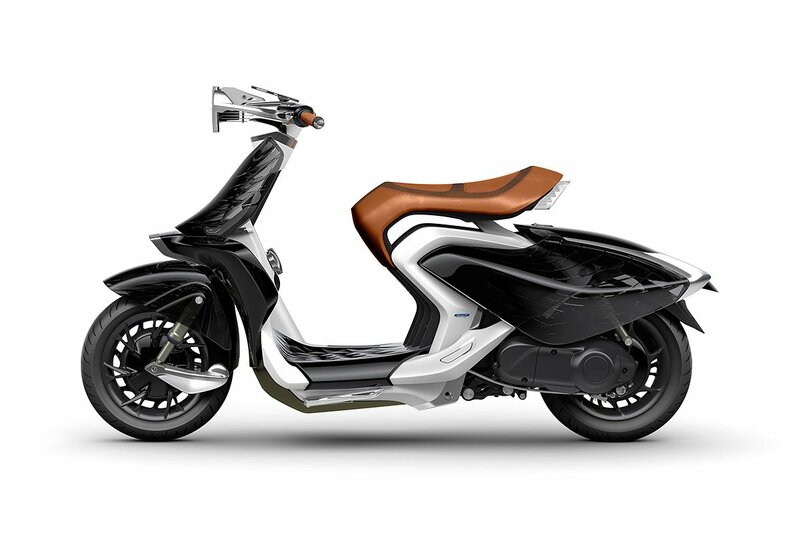 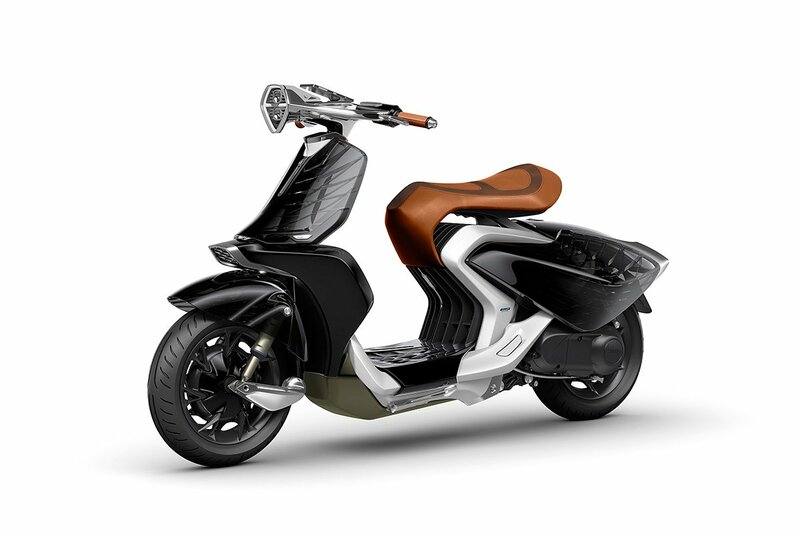 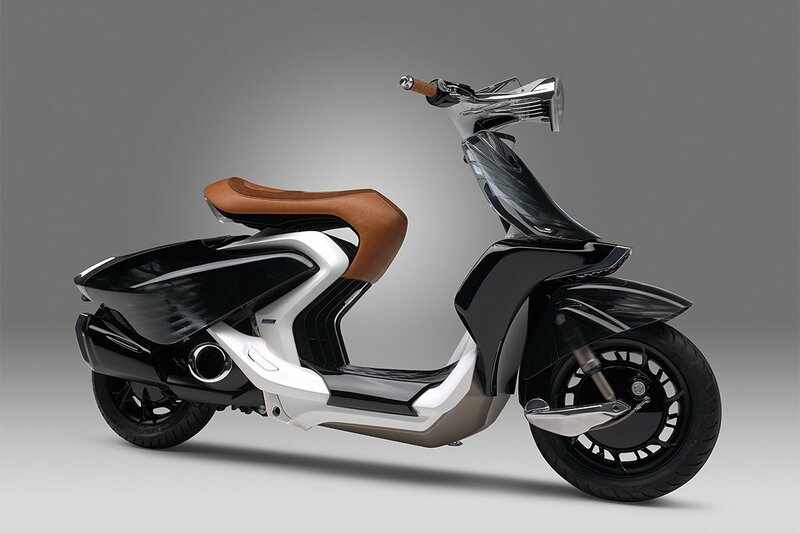 Through moveable exterior panels with semi-transparent trapezodial details and long, low silhouette, the lines of the scooter were shaped to match a swan. 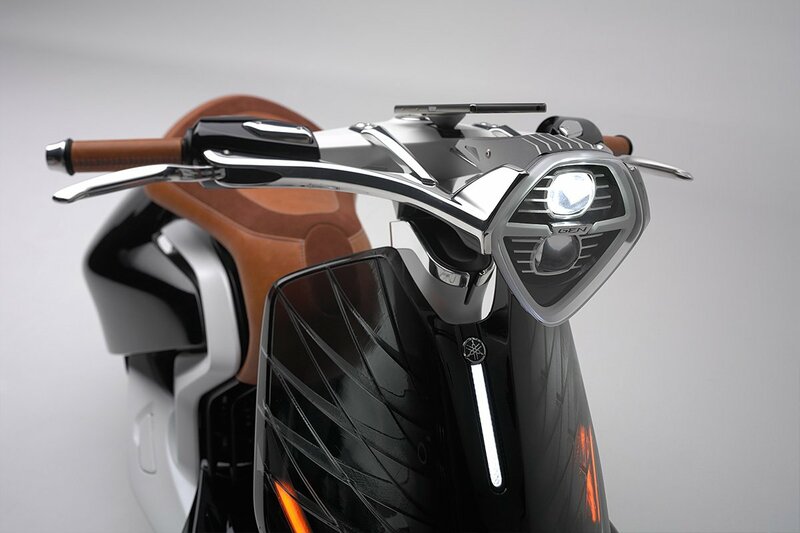 it also contrasts between old and new using authentic real leather and inventive new resins. 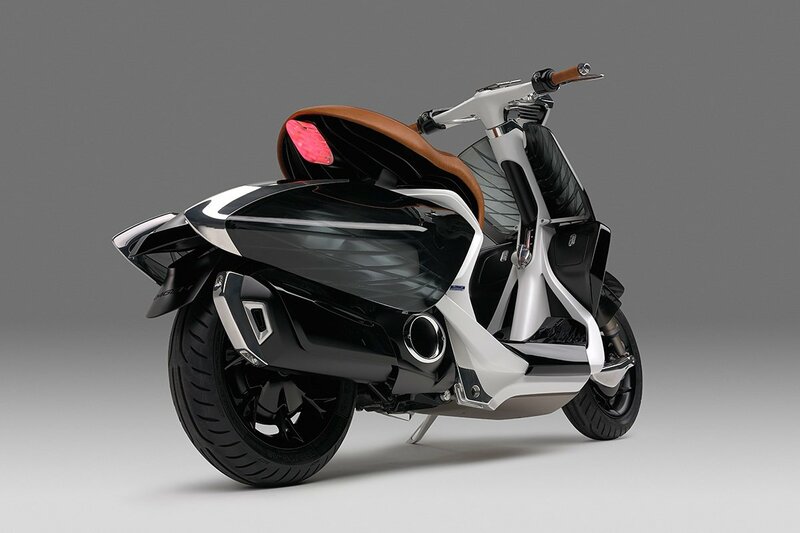 This is Yamaha’s fourth concept model based on “refined dynamism” design philosophy. 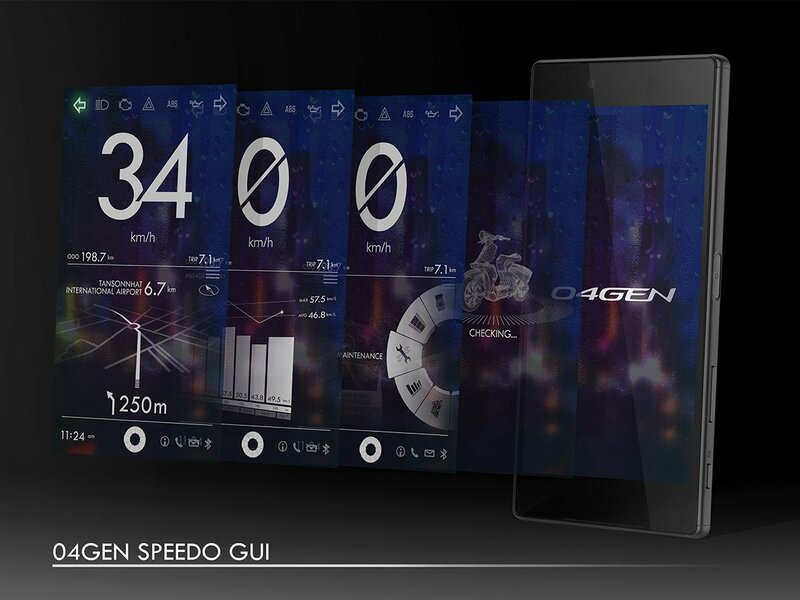 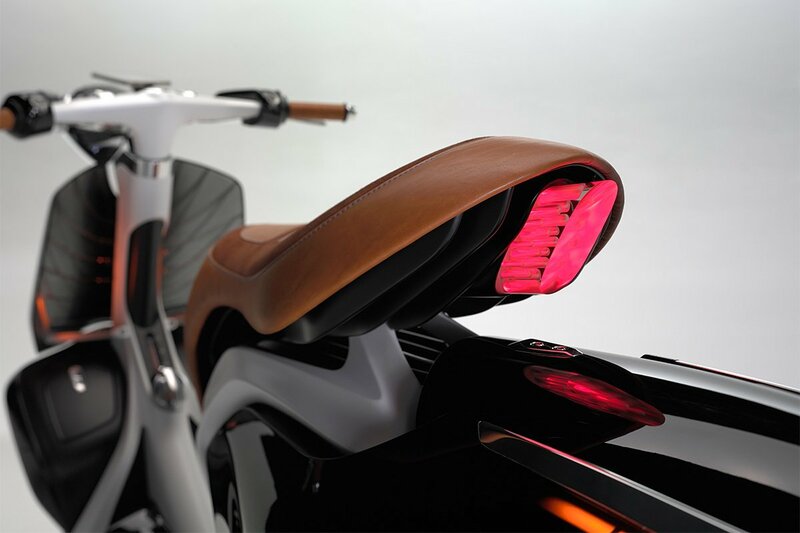 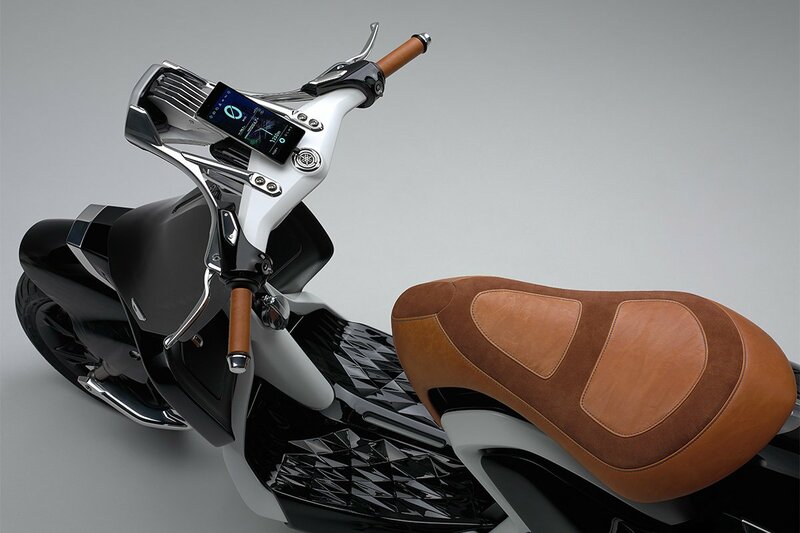 The series allows the motorcycle company to realize products in an experimental style based on future materials. 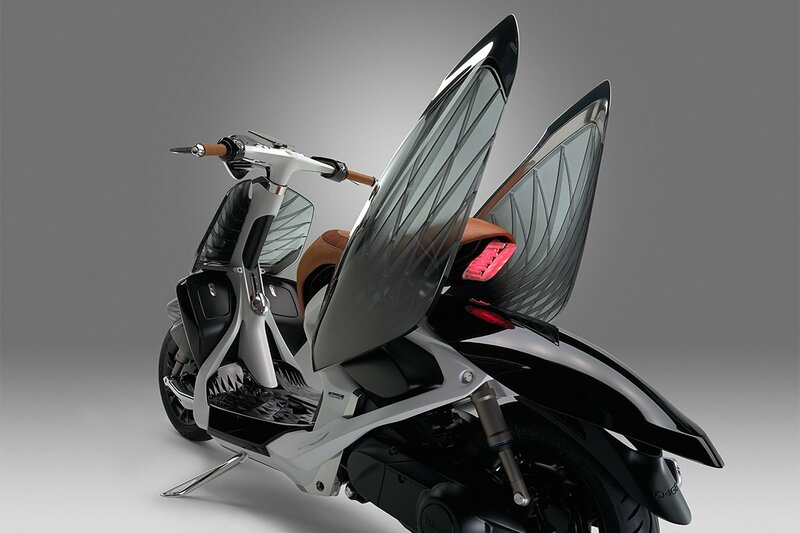 Meanwhile be sure to check 10 Smallest Folding Electric Mini Bikes for Sale.